The front and back gardens to this Coxheath bungalow had not been tended for some time and the house was going to be put up for sale. 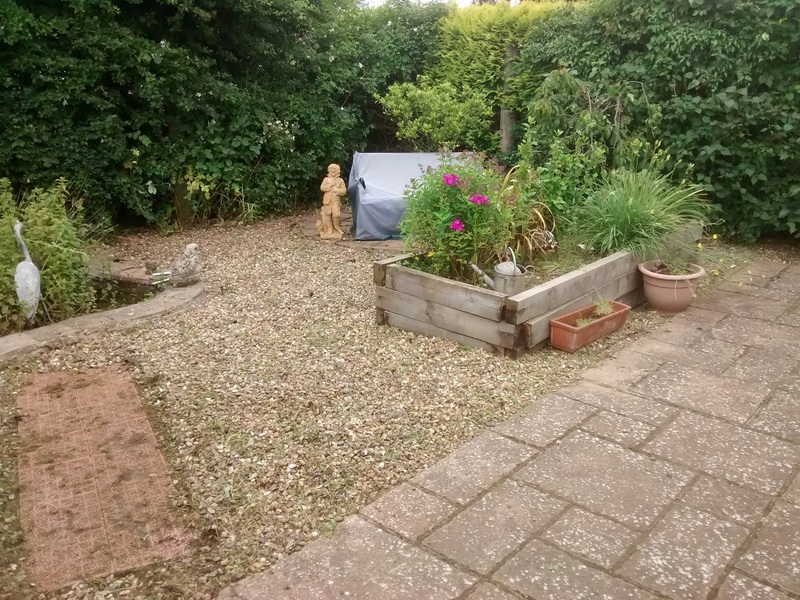 In order to show the property to its best advantage the garden needed a makeover. Luckily the structure was there and it was simply a case of strimming, weeding and hedge-cutting to bring it back under control. 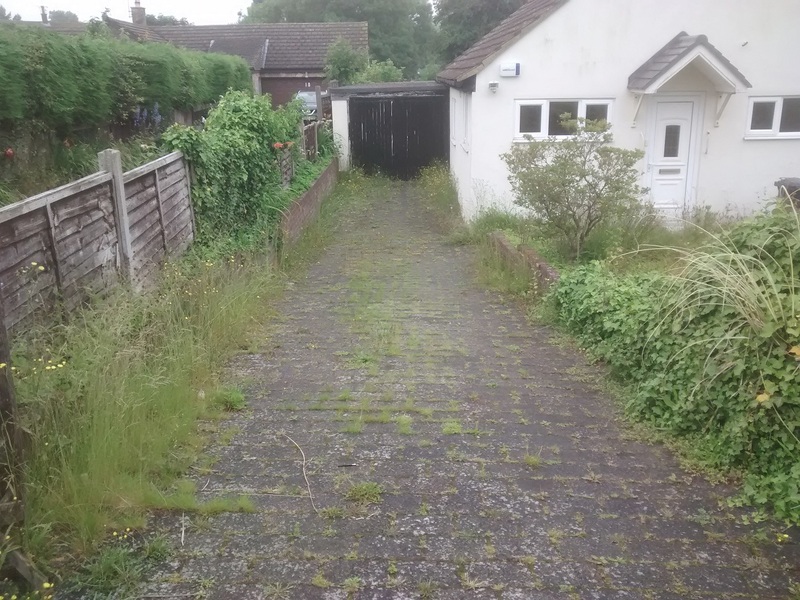 A weedy block-paved driveway can be a real turn-off and can be back-breaking work to bring back under control but the effort is well worth it. 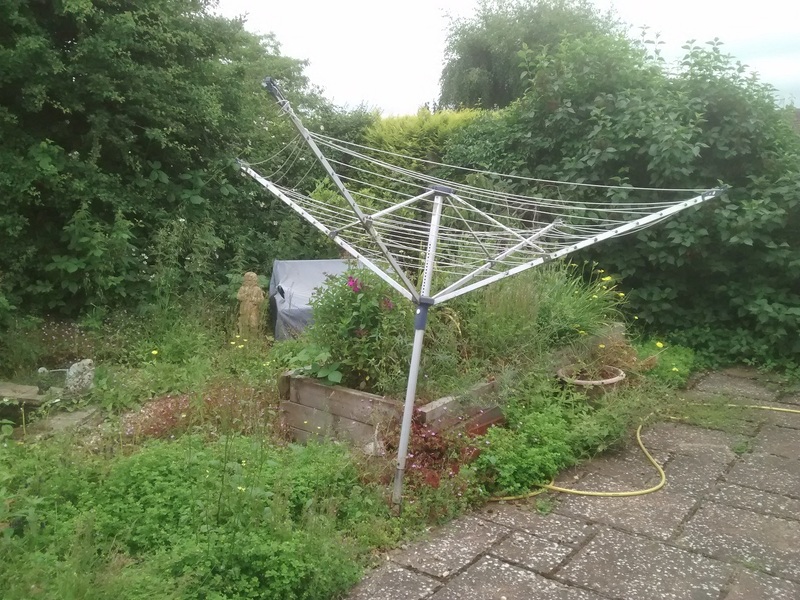 A wonky washing line, weeds taking over the shingle and a half-hidden seating area didn't give the impression that there's a lot of space in this garden. 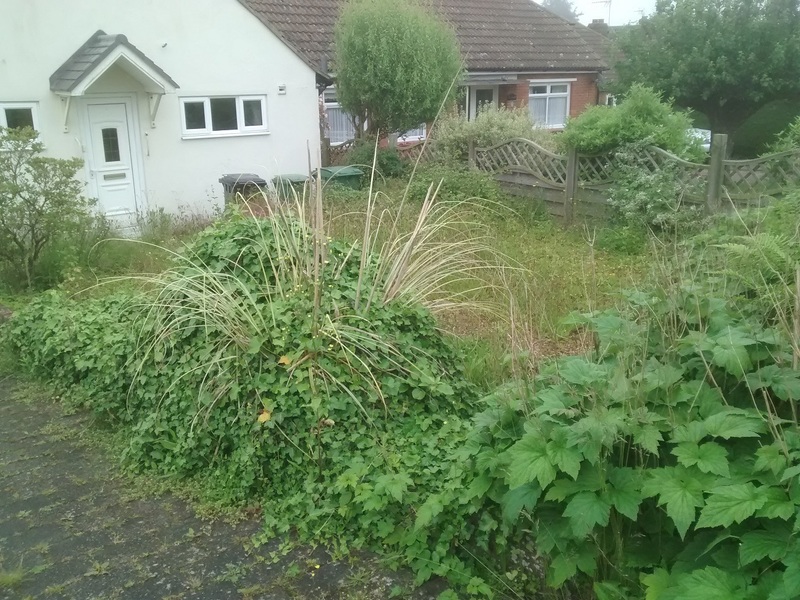 Weeds were lifted, encroaching nettles and brambles cut back and the hedges thinned to reveal a garden with space to use again. Not so daunting now to any prospective buyer. 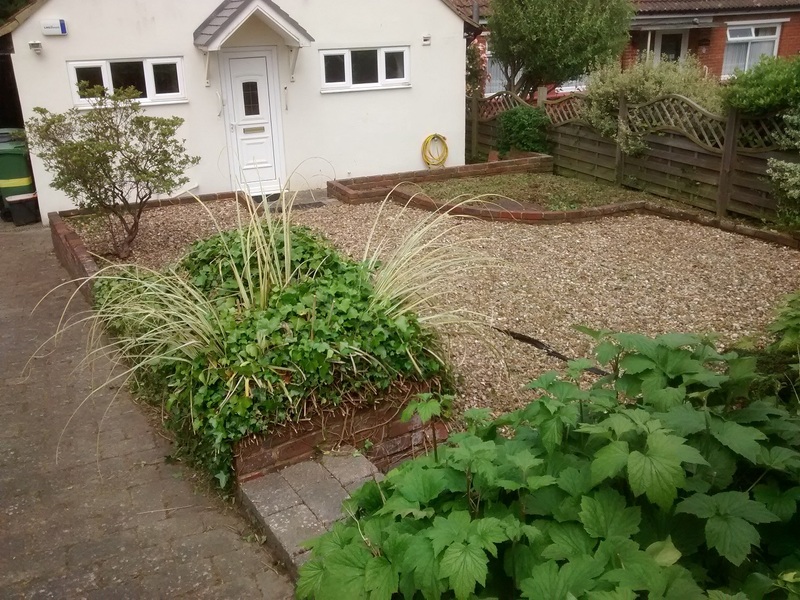 The front garden had become somewhat overgrown with retaining walls and steps completely hidden. The overall effect was not doing much to enhance the appeal of the property. 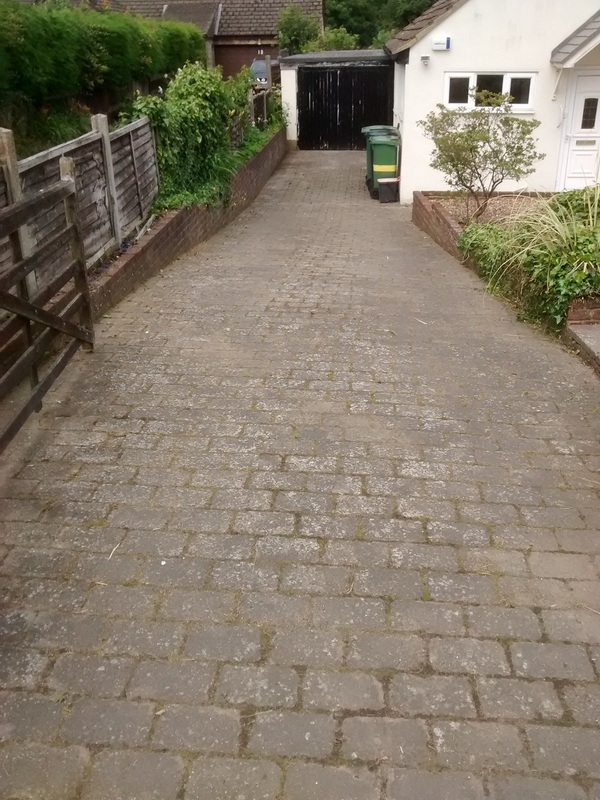 Weeds were removed, hedges and shrubs cut back and pruned and walls and steps uncovered. The front of the property now looks so much more inviting and with a bit more planting or the addition of some containers with flowering plants the new owners can have a front garden to be proud of.